Redrow strives to be at the forefront of design and innovation. Redrow’s Highgrove house type forms part of the Heritage collection, capturing a traditional appearance with modern influence. The Highgrove house design is featured across Redrow Homes nationwide. A luxurious porch entrance with intricate brick detail provides a focal point at the front façade of the properties. The red brick arch, in contrast to the soft white render, creates a striking effect. Consistency and quality is essential when replicating this detail across numerous sites. 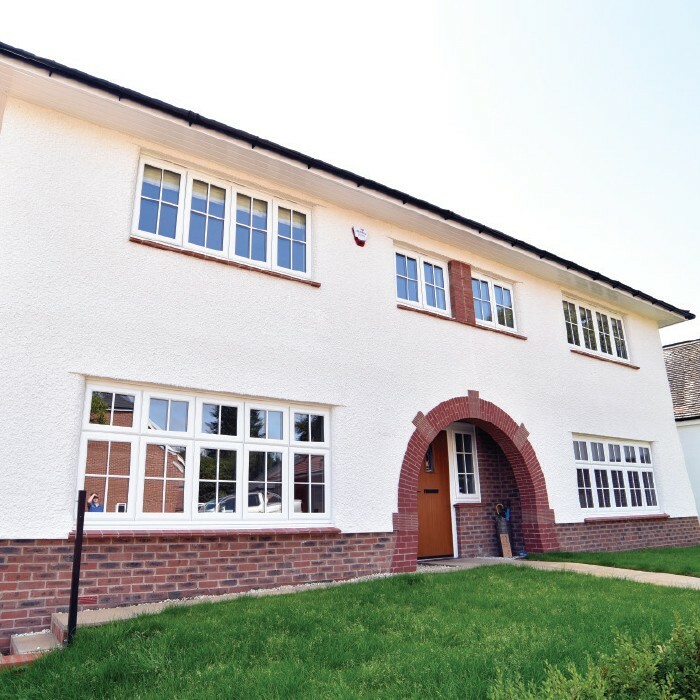 The original specification included a concrete backed arch to achieve the brickwork required for the porch. This brought with it a number of health and safety issues. Each porch required the use of a tripod which had to be erected to offer support while the arch was being constructed and dismantled after each installation. This traditional construction method was extremely time consuming and required brick cutting on site and skilled labour. Consistency was also a challenge when constructing each arch onsite. 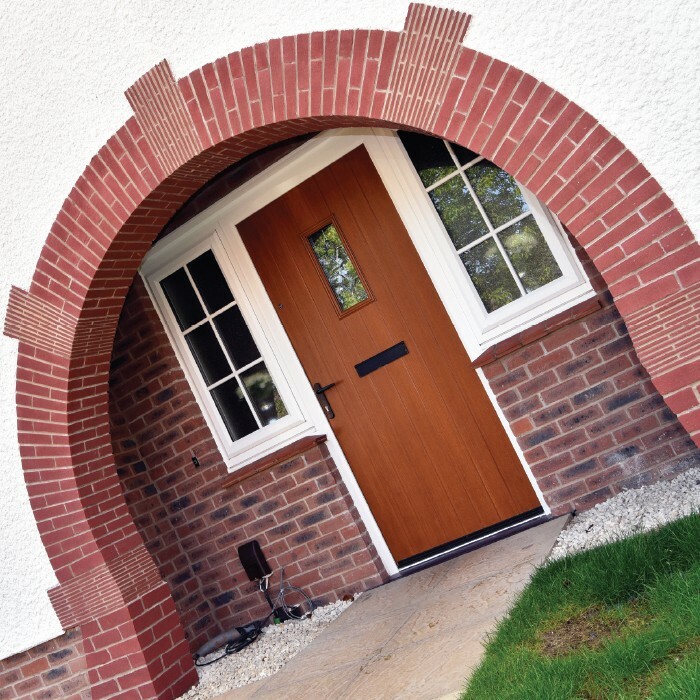 Keystone introduced Redrow Homes to a Brick Feature arch solution which would considerably reduce health and safety issues onsite and offer considerable time saving. 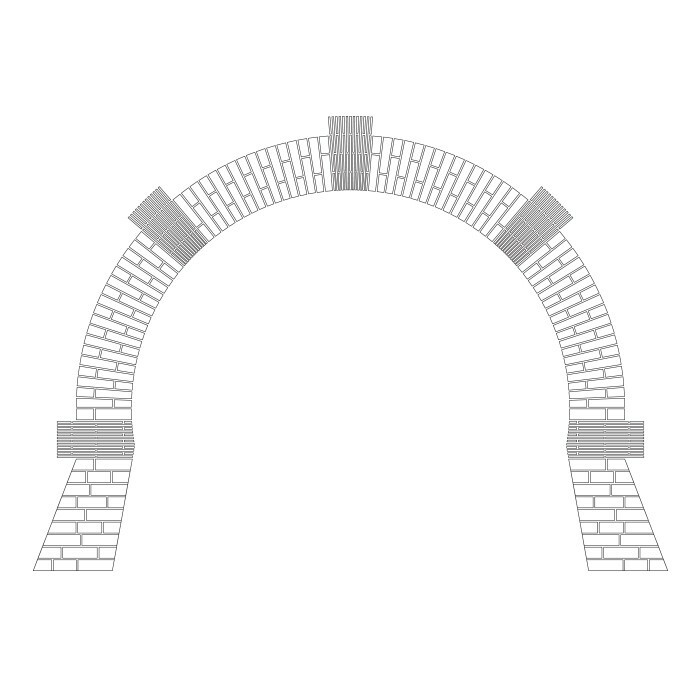 Each bespoke Brick Feature Lintel was produced in a factory environment and delivered to site in one unit with bricks attached for final pointing. Keystone’s prefabricated solution offered speed of construction while also reducing the need for specialist trades onsite. The finished product was 70% lighter than the concrete equivalent. Keystone’s offsite product enabled consistency with each product produced in a strict, quality controlled environment.